Looking for a FREE 3-day split workout? Follow my tried & tested plan to get ripped! Note: To build lean muscle, going to failure with CORRECT and CONTROLLED technique is essential. 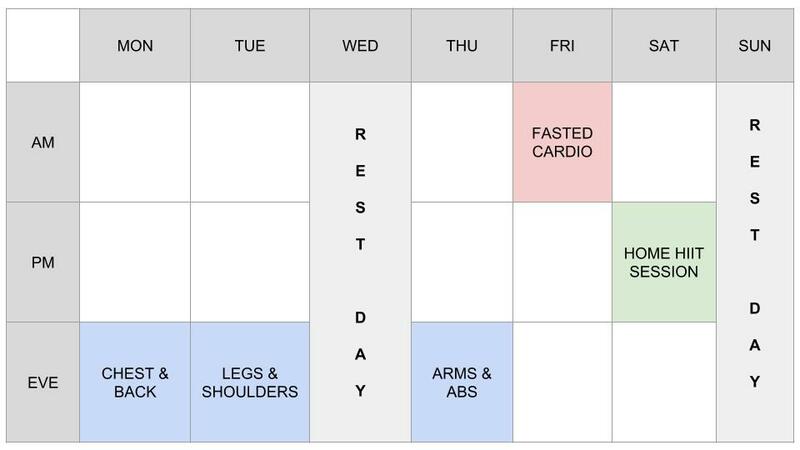 Complete each workout once per week. 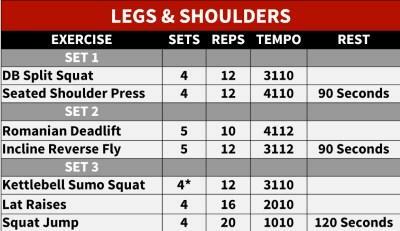 If you have extra time, do the legs workout twice. Note: These are basic spreadsheet versions. Get FREE access to the real deal workouts using my training app. Click the workout plans above to open a PDF. If you have an iPhone you can save it in iBooks. “Tempo” and “dropsets” are explained in my “Ultimate Guide to Working Out”, below. Pick 1 HIIT session to complete per week. You can mix and match. Feeling energetic? Do it twice! Note: Fasted cardio is optional, but will help get better results. To do it, use a stationary bike for 30 mins before breakfast, keeping heart rate at 60-70% max (220 – your age). Note: Avoid training the same muscles on back-to-back days. Recovery is just as important as the workout if you want your muscles to build. Matt is a busy consultant who’d let things slip over the years. He wasn’t eating well, drank alcohol a few times a week and didn’t exercise regularly. We trained 4 times a week, mainly weight training, to build muscle and burn fat. After having children, Mary wanted to get back into shape. We didn’t train together, but we keep in constant contact over Whatsapp. With guidance on exercise and nutrition, Mary was able to make excellent progress. Steve came to see me with low energy and unsure of how to make progress. 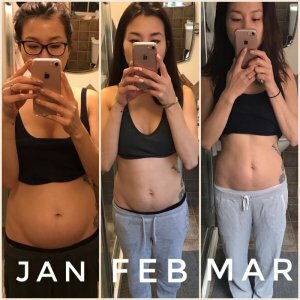 We followed my body transformation program to the letter. 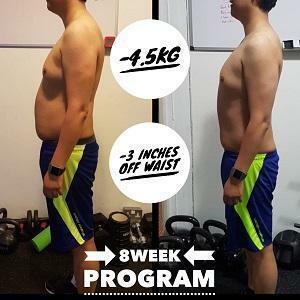 He made some small changes to his eating habits to produce great results. Phone apps have revolutionised how we train. 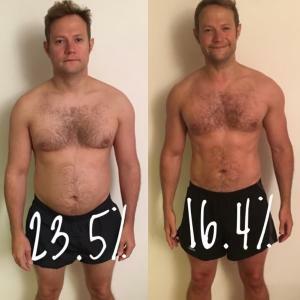 Watch this short video to discover how to maximise your results. Note: The app is 100% FREE for 30 days. If you like it, you can subscribe for £7.99 a month. No payment details are taken for the free trial. This is a genuine, no-catch offer. I pride myself on honesty. I will never sell your details or sign you up for something you do not want. build lean muscle and torch fat fast! Unlock the secrets all the pros use to build muscle like a machine! Split routines are very effective if you train often enough. If training 2 x a week, you’re probably better off with 2 full body workouts because you need to work all the muscles each time. 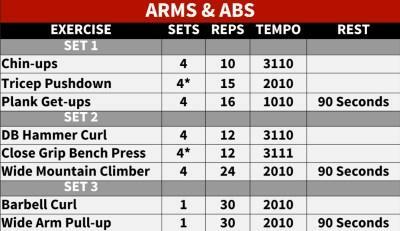 Consistently train 3 or more times per week? Make the switch to a split routine such as the one above. 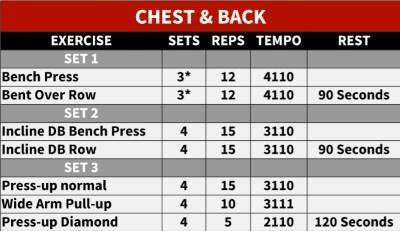 Being able to focus on body parts, such as chest, back, legs, etc will mean you can get more out of each session. 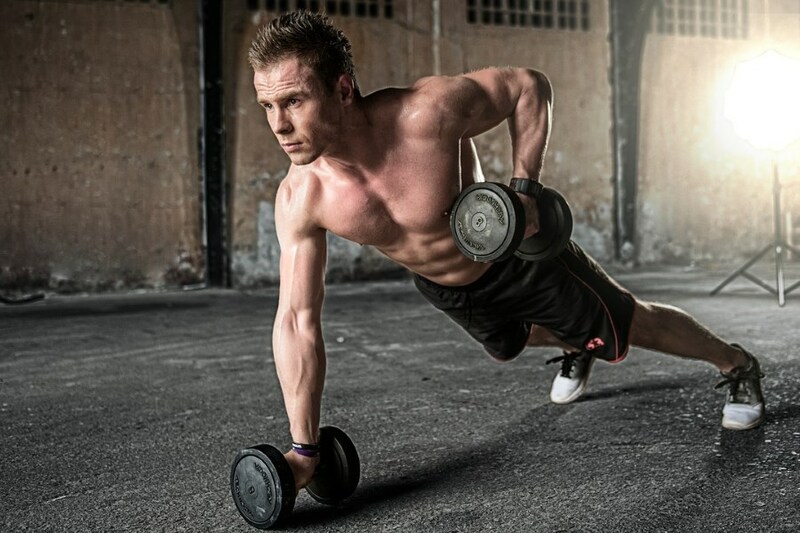 A more focused session will mean more exercises for each muscle, meaning more overload. More overload = more muscle! This is also known as a split workout plan, as mentioned above. There are a lot of ways you can split your workouts to focus on individual body parts, depending on how much time you have and how advanced you are. Within each workout you may target each body part with 2 to 4 different exercises. This allows you to really target each area specifically. Body part training is more of a body building concept, because the focus is on building aesthetically pleasing muscle by increasing its size and definition. Often you find people in one of two camps. They either love weight training and hate cardio, or hate weight training and love cardio. The key is to love both! Here’s the thing. If you want to look like an athlete, or as near as you can realistically get, you have to train like one. Athletes will do weight training, stretching, steady state cardio and HIIT style sessions. Cardio helps maintain your cardiovascular system – heart, lungs and blood vessels. It also helps burn calories and gives your muscles a nice lean, functional look. The best amount of cardio to do? I’d recommend 1 x HIIT session and 1 x steady state cardio session per week. In addition to your 2-3 x weight training sessions. I’ve said it before and I’ll say it again, 4 x a week training is the sweet spot for muscle growth, fat loss and fitness. Compound exercises are those which use multiple muscle groups at the same time. For example, deadlift, bench press, pull-ups, chin-ups, squats. Isolating exercises are those which focus on a single muscle group. For example, bicep curl, tricep extension, calf press. When you should use them is a good question. In general, compound moves are great when you only have 1-2 sessions a week to train because they hit lots of muscles all at once. Isolated exercises are perfect when you have 3+ days per week to train and want to really target specific muscles. Yes, you can. Most workouts will include compound moves as the base and isolating exercises on top. Start off with compound moves, to work the bigger muscles and then add some isolating moves to finish them off. This first targets the larger muscles of the back, while also using the biceps and forearms. Then targets the biceps with a specific isolating move to finish them off. Functional training became ‘the in thing‘ many years ago now, but it’s what athletes have been doing for years. Any football, rugby or fighter will incorporate this style of training into their routine because it’s rooted in real world movements. Why is weight training not functional? Typical weight training is not very functional because the movements you make don’t reflect how you move in sport. For example, squats and deadlifts are not the kind of movement you’d do on a football pitch. In most sports, there is much more dynamic movement where the whole body is used not just a small set of muscles in one direction. So what’s functional training then? Things like box jumps, renegade rows, lunges in different directions are all functional because they are more similar to what you’d do on a sports field or in a game. Should I add functional training to my workout? It depends on your goal. 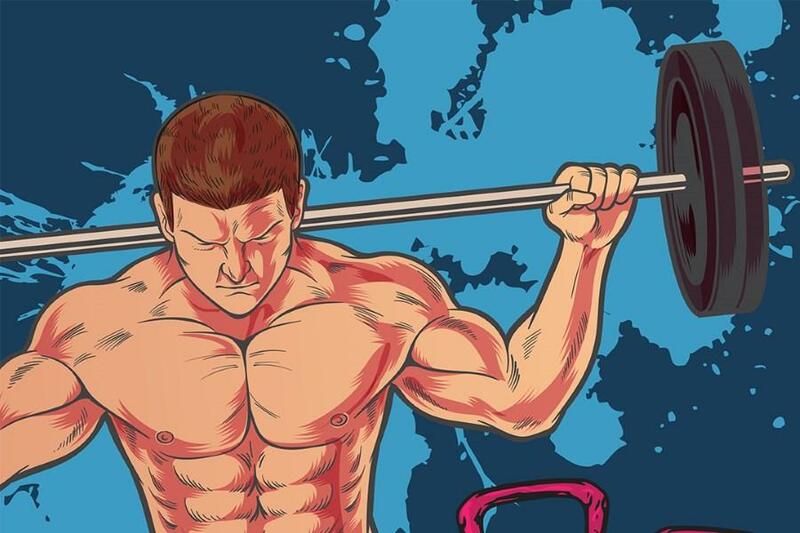 If your only goal is to build muscle to look good, it’s not that necessary. If you want a strong, fit and well functioning body then yes you definitely should. HIIT training is an ideal way to get a fast cardio and muscular workout when you’re short on time. Done right, it can push you very hard physically, which in turn helps you get fitter, stronger and leaner. I’ve defined what HIIT is below, but I’ll quickly recap and then cover some practical examples of it. HIIT is timed intervals of high intensity activity followed by rest or lower intensity intervals. 20 seconds 100% effort, followed by 10 seconds rest. Repeat 8 times. For most people the answer will be yes. HIIT helps get you fitter and stronger and works you in a way that steady state and weight training can’t do alone. My free to download workouts above include 1 HIIT session per week. Most gyms have HIIT classes now so you could just go along to one of those. HIIT is something where you will benefit from training with others, as doing it alone you will not push yourself hard enough. Does fasted cardio really work? The science is not good enough to know for sure. The end result is this: Doing cardio will burn energy so if you are looking to lose weight, no cardio is bad. Will fasted cardio burn more than normal cardio? Hard to tell. I like doing it because I believe there are 3 other reasons other than faster fat burning that make it really effective. Are full body or split workouts better for building muscle? It depends on your goal. If you are looking to gain muscle mainly for strength and to look better, go with split routines 3 or 4 days a week. If you’re more interested in general health, fitness and all round athletic ability then full body workouts are a good option. If you’re training multiple days in a row, try to avoid doing too much on each muscle group each day. Knowledge is power…Power comes from learning to lift properly. It’s the topic most people go to when talking about weight training…How many sets and reps should I do? The thing is, no two reps and sets are the same…How quickly (tempo) you move the weight will change the feel and result massively. What about speed of movement? Two people (Dave & Steve) are both doing 10 reps of bench press on 60kg. Which one builds the most muscle? The answer is: It will depend on each person’s speed of movement. The speed they lower, pause and push the bar. Also known as Tempo. Dave lowers the bar for 1 second, doesn’t pause and pushes for 0.5 seconds. This is probably typical of most people in the gym. Steve lowers for 2 seconds, pauses for 1 second and pushes for 1 second. There’s a big difference here. Steve’s set is almost 3 x Dave’s set in terms of time under tension! Same exercise, same weight, very different load on the muscles. This is key because extra load on muscle = muscle growth. Depending on your goal, you may want to think about how quickly or slowly you lift weights. Always lifting fast means you get to use momentum which reduces the load on your muscles. If you want to build muscle, understanding Time Under Tension (TUT) and Tempo is critical. If you’re used to “normal” tempos you will definitely need to lower the weight to start with. Put your ego aside. Lifting very heavy is not usually necessary. Is it better to do high reps or low reps to build muscle? Both high reps and low reps can build muscle. The more pertinent questions are to do with tempo and time under tension (TUT). You could do 15 reps very quickly or 5 reps very slowly and both produce the same amount of TUT. The more TUT you place on your muscles, the more load they endure which results in your muscles getting bigger (hypertrophy). They say a great body is 80% diet and 20% training. I’d have to agree. Give a man a workout, he’ll be able to train. Teach a man how to build a workout and he’ll build muscle for life! Hopefully you’re open to the idea that training is more than just about muscle. Building confidence and understanding your motivations will help you in every aspect of life. Let’s look at a deeper level. 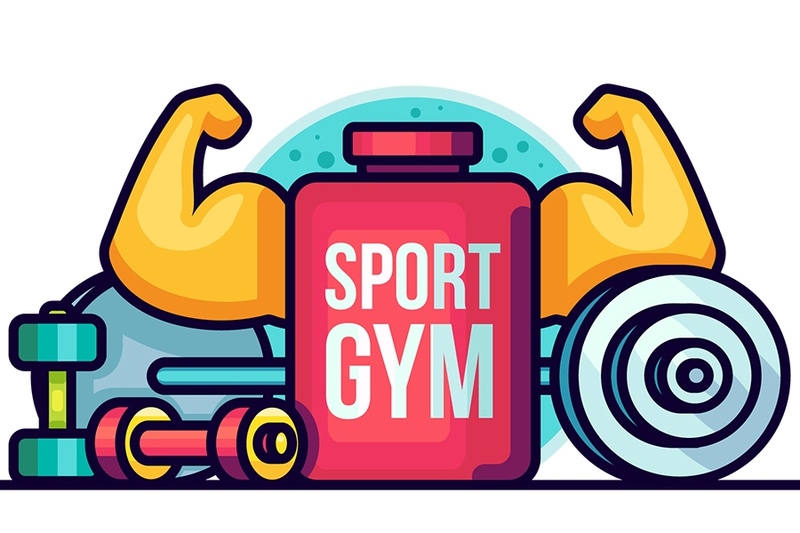 This section will arm you with the weight room lingo so you don’t look like a lemon. What is time under tension (TUT)? In short, tempo is the speed you move. 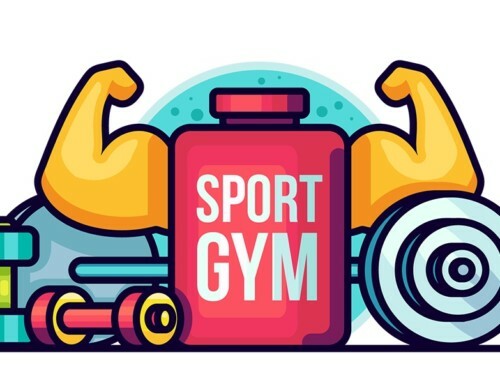 In weight training it means how fast or slow you lift and push the weights. There are 4 phases to every movement; up, pause, down, pause. Usually the first number will be for the eccentric phase. That’s lowering in bench press and most movements, but in other moves will be where you are not contracting the muscles. What is Time Under Tension? The higher the TUT, the more load on your muscles and the more they will grow. It means to build muscle. Simple. I think you get the picture. Hyper is usually good. 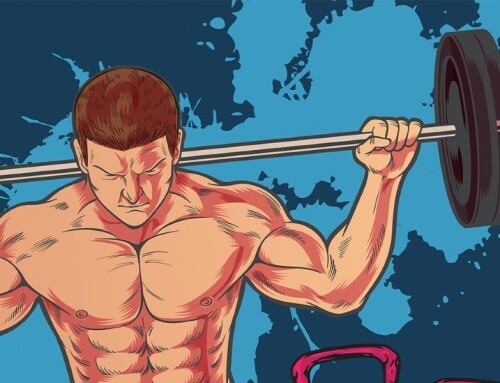 Now get hyper-working-out! What is Steady State Cardio? Steady state cardio is where you perform exercise, which raises your heart-rate, at a consistent (steady) speed or intensity. Typical examples are running, cycling and swimming and would last anywhere from 20 mins to 1 hour or more. It’s often used when doing fasted cardio because it’s seen as a way to burn fat rather than using stored carbohydrates (glycogen). HIIT stands for High Intensity Interval Training. It is exercise performed for timed intervals of higher and lower intensities. For example, you might sprint for 60 seconds and jog for 30 seconds. That would be 1 round and you may complete 4-10 rounds. A very famous and common HIIT protocol is Tabata, where you perform 20 seconds at 100% effort followed by 10 seconds rest. A Tabata workout is incredibly hard if done correctly. Using a stationary bike is a really good way to do it. Supersets are simply two or more exercises done one after the other without rest between. Let’s say you do bench press followed by bent over row without taking a break. That’s a superset. You have completed each one back-to-back. Tempo in fitness is different to tempo in weight training, although they both refer to the speed at which you train. In fitness, specifically running, tempo means to run at a speed which is you’d consider running at your lactate threshold (85% of maximum heart rate for most) or anaerobic threshold. This means the pace you can just about hold without burning out for the given distance. Whether it’s 3km, 5km or 10km a tempo run for those distances means running at a pace you are just able to hold for the total distance. Not everyone agrees on the same definition as it has come to mean different things to different people over the years. But this is my understanding of it. In weight training, tempo refers to how quickly you move the weight. A 3010 tempo means you take 3 seconds in the eccentric phase (usually lowering), 0 second pause at the bottom (isometric phase), 1 second in the concentric phase (pushing usually) and a 0 second rest at the top (can also be isometric). Check out this detailed description for more insights about tempo training with weight lifting.